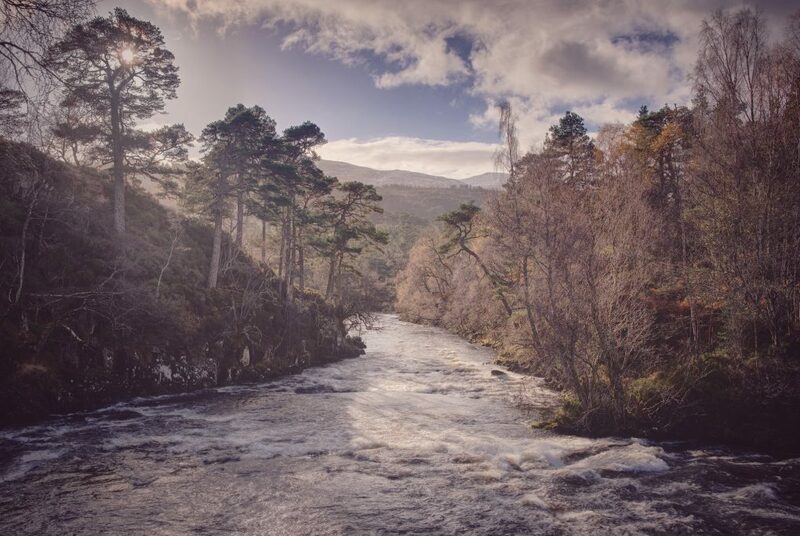 There’s no better place to start a holiday than the Nice Place(TM), even if it does involve getting up and on the road at 4am for a 165-mile drive up north. 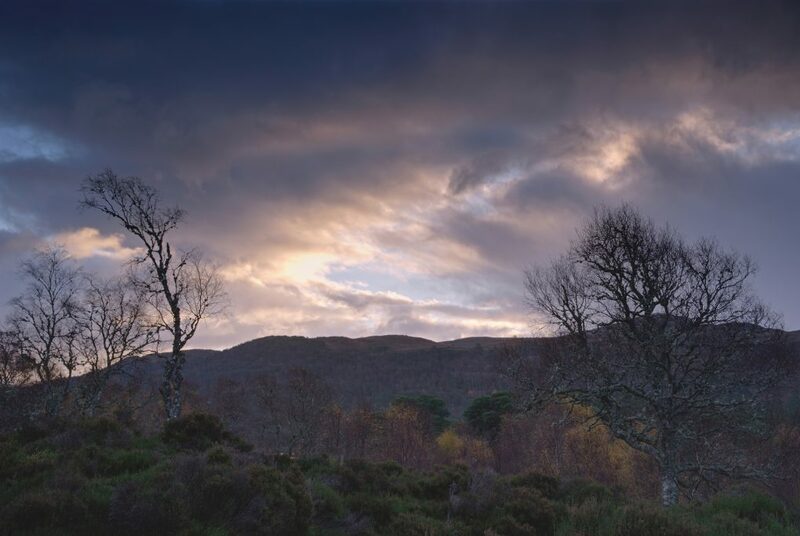 The rising morning sun dispelling the last dull light of pre-dawn, showing the tree colours to optimum advantage. 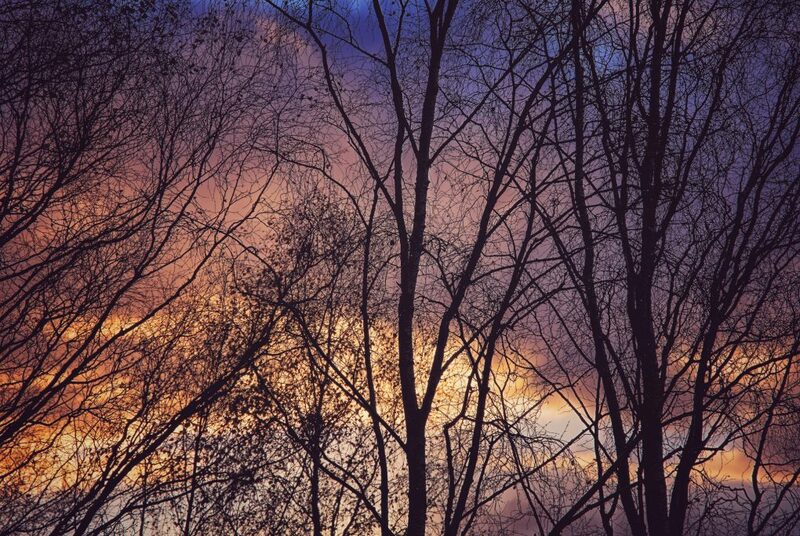 The fine tendrils of birch tree branches silhouetted against the sky, sunrise tinging the clouds bright orange and purple-blue. 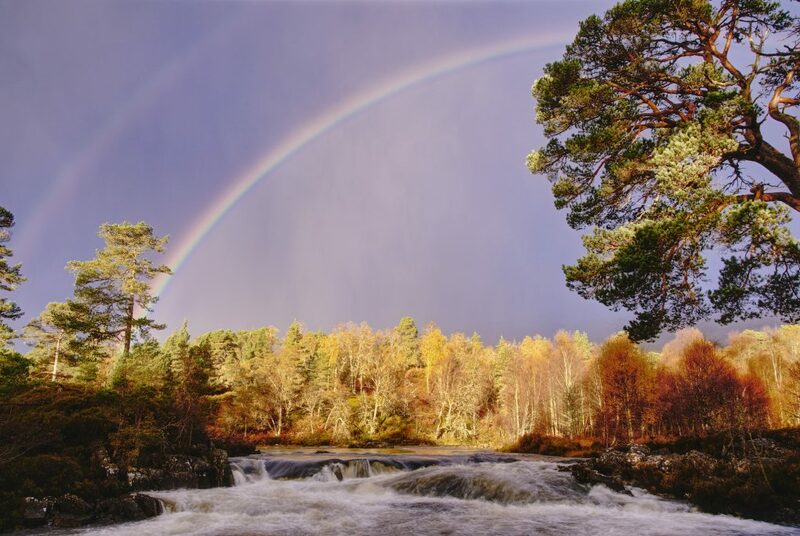 The Caledonian Forest at Glen Affric was its usual beautiful self – still not cold enough for morning mist in the trees, but brilliant morning sunlight and heavy rain caused a wonderful vibrant double rainbow while I was down by the river. 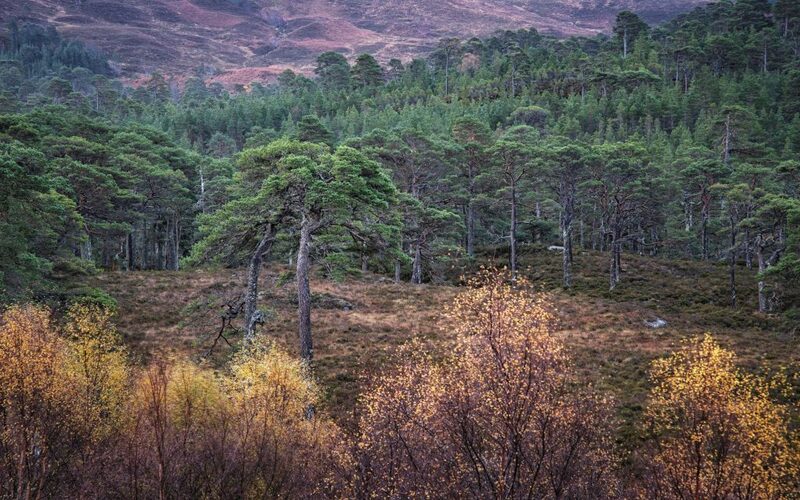 My very favourite old Scots Pine trees amongst hte heather, Glen Affric Caledonian Forest Reserve. 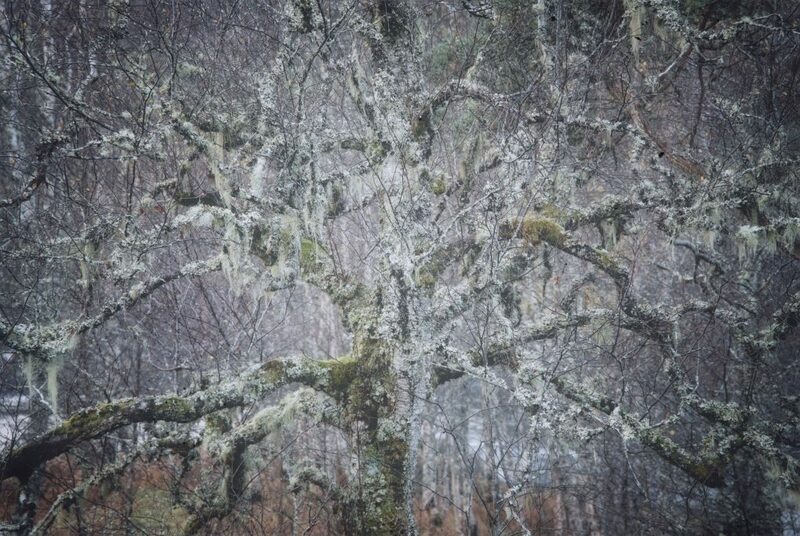 A beautiful characterful birch tree covered in lichen and moss, branches like arms spreading in all directions. 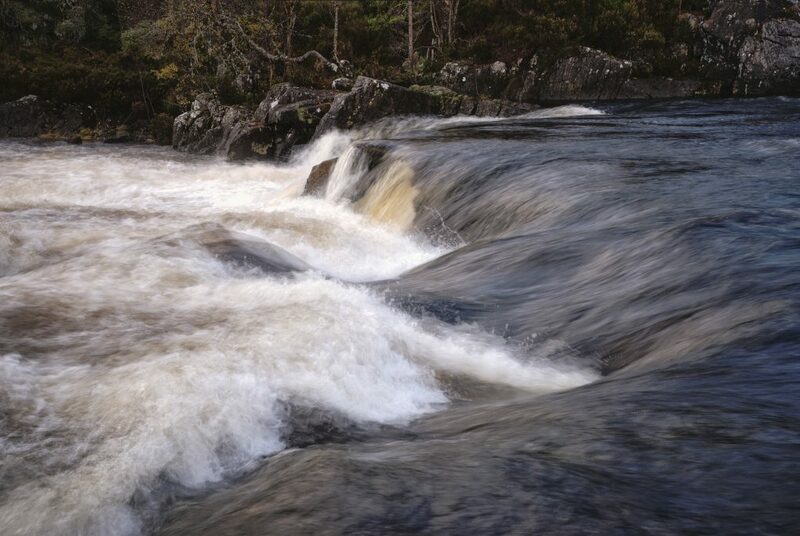 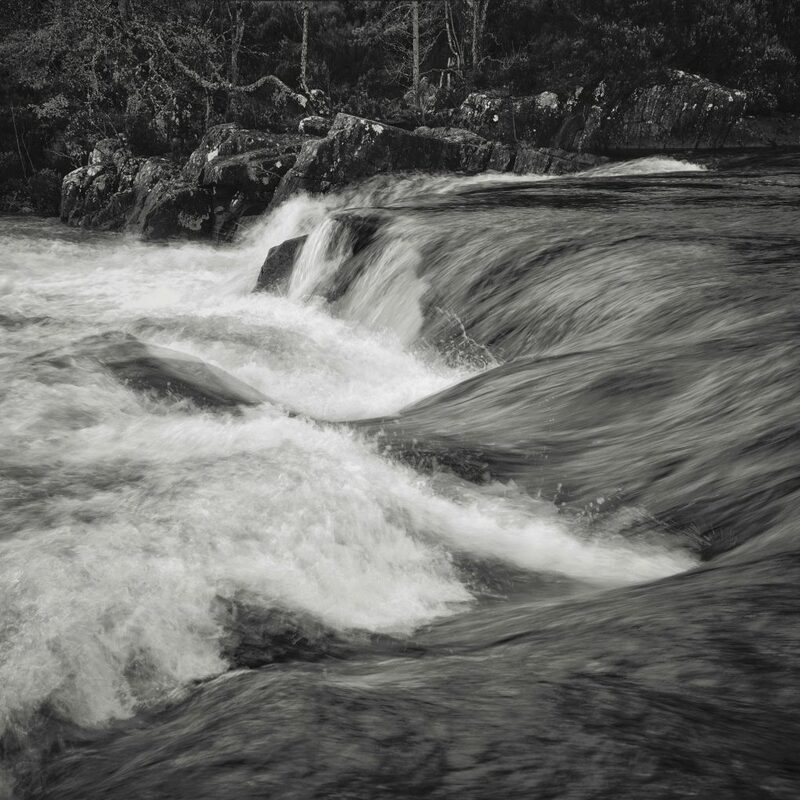 Fast-flowing cascades in the River Affric. 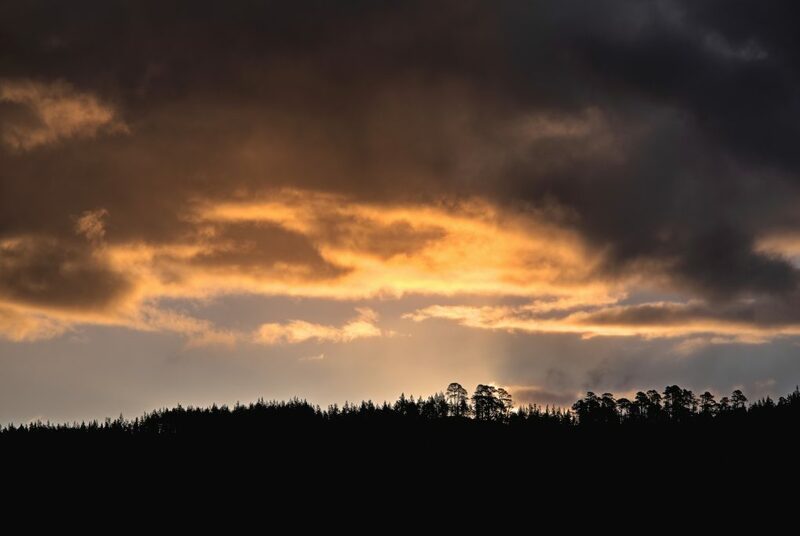 The beginnings of a rainbow against a dramatic rain and hail cloud contrasting with bright morning light. 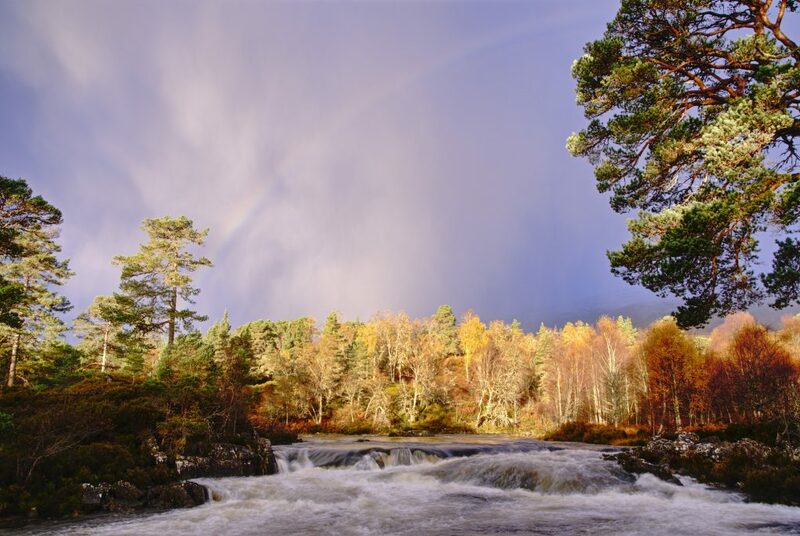 A stunning vibrant rainbow and secondary bow over the Caledonian Forest at Glen Affric, bright morning sunlight catching one of the Scots Pine trees and distant birches along the river. 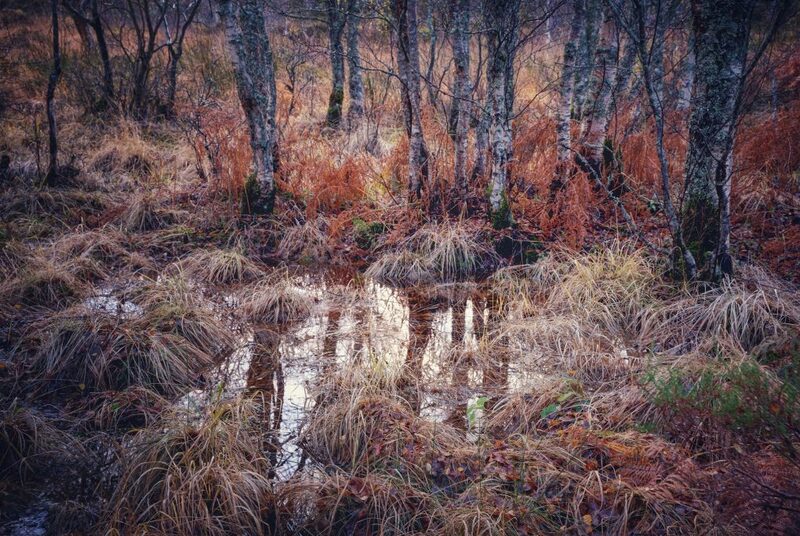 Two of my favourite birch trees amongst the heather in moody dull morning light. 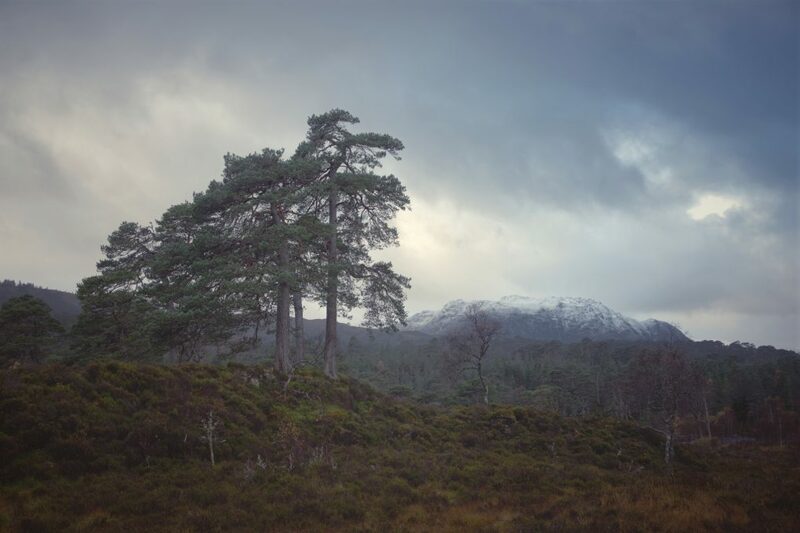 An unusual composition - enjoying subtle tones of morning with clouds passing by, a loose distribution of trees (birch, Scots Pine) amongst the heather on the outskirts of the Caledonian Forest reserve, Glen Affric. 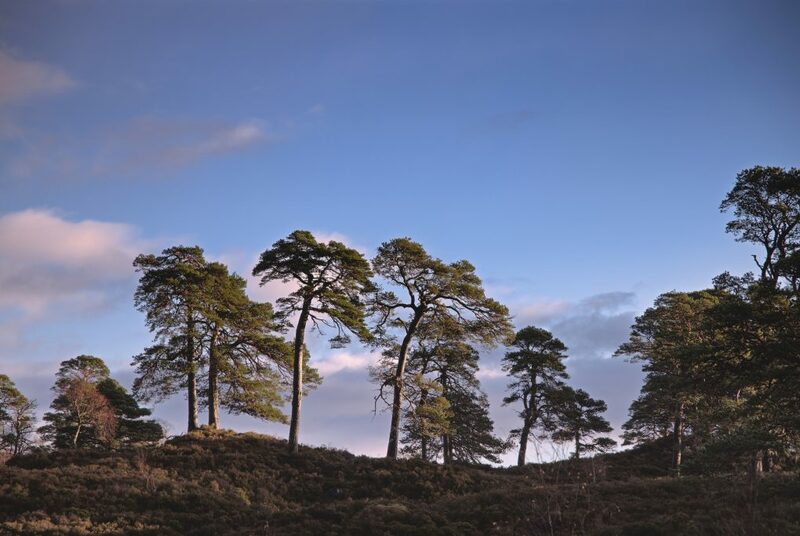 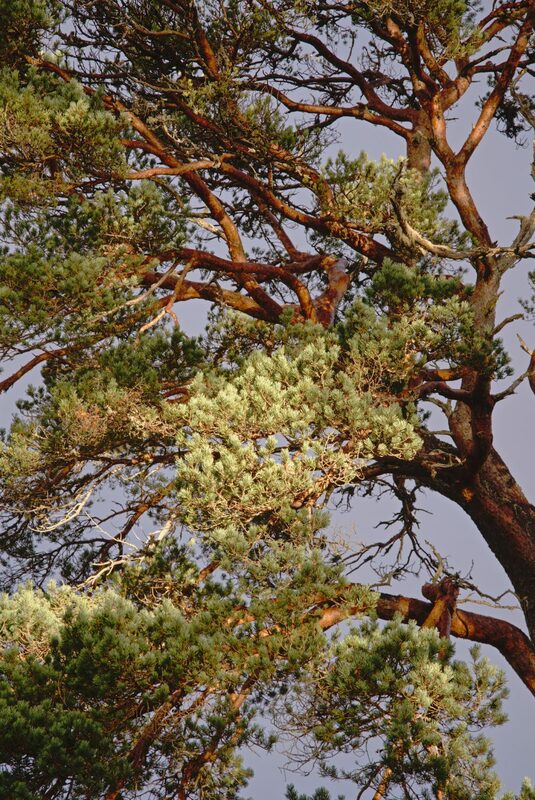 Favoured old characterful Scots Pine trees enjoying a hint of morning light among the heather. 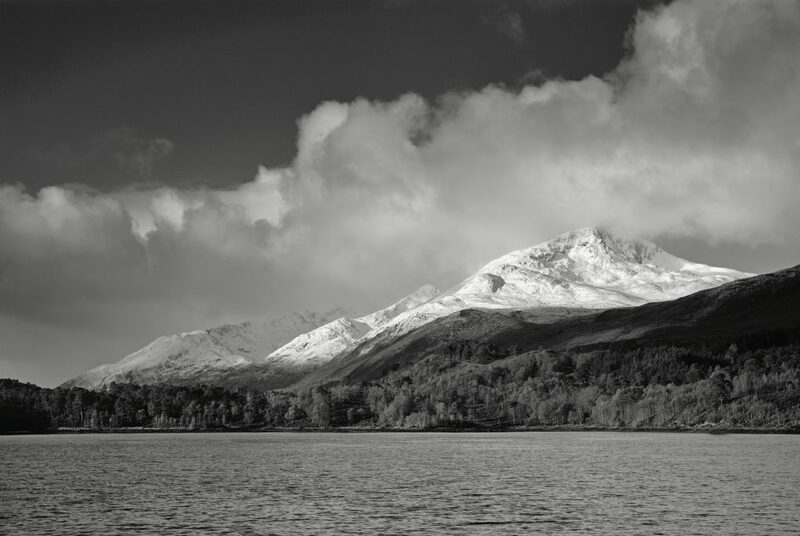 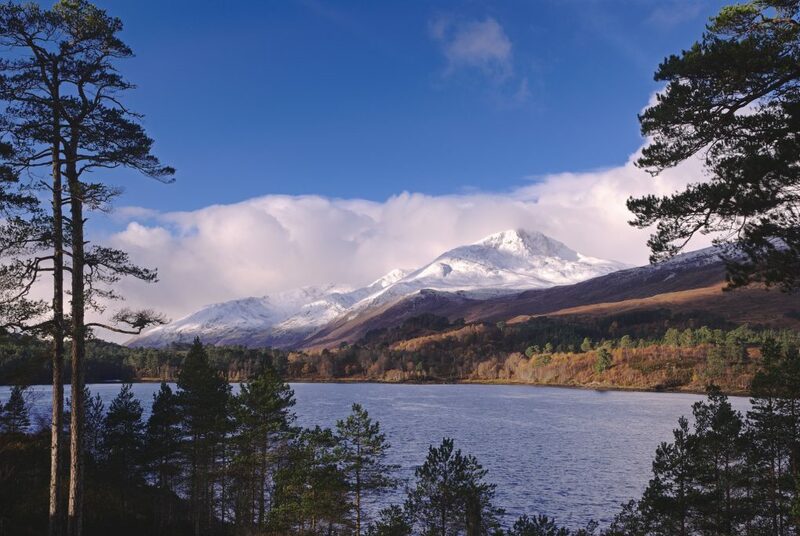 For a change, I took a long walk a couple of miles along the side of Loch Beinn a Mheadhoin, to be rewarded with a gorgeous view of Sgurr na Lapaich covered in pure white snow, across the water. 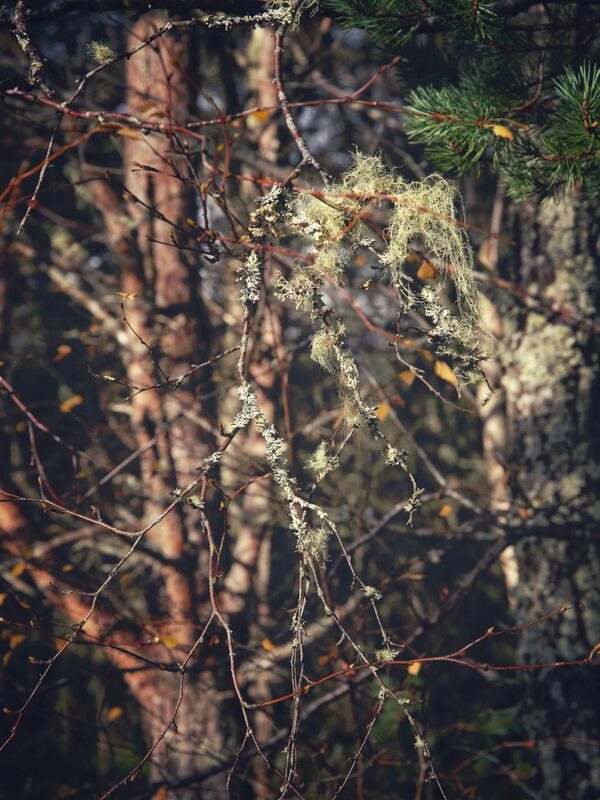 A sign of clear pure air: lichen growing on fine filaments of a pine tree branch twigs. 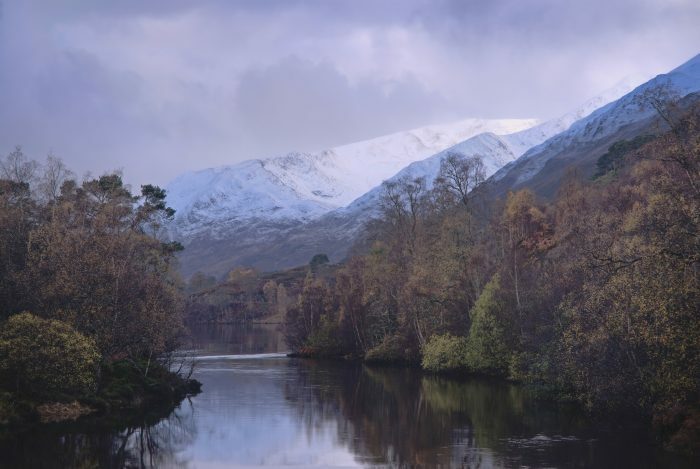 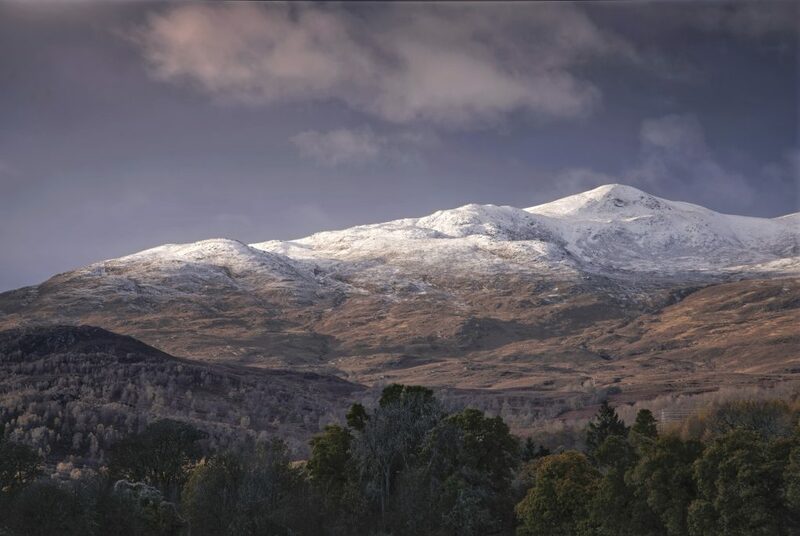 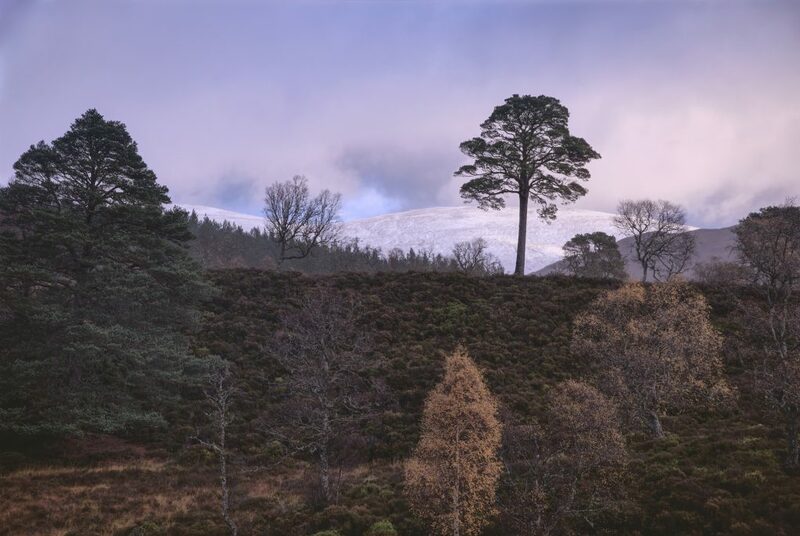 A late-Autumn dusting of snow on the mountains above Glen Strathfarrar from Struy. 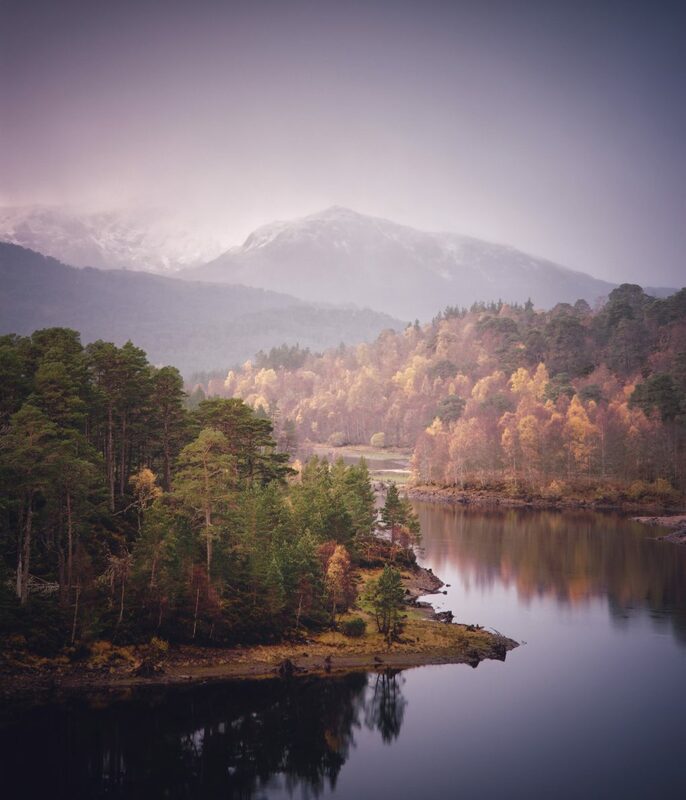 This entry was posted in art, Glen Affric, Highlands, Landscape, nature, photos, water, words and tagged autumn, Caledonian Forest, colour, enfuse, Glen Affric, hdr, highlands, landscape, light, Loch Beinn a Mheadhoin, nature, Pentax K-1, photography, photos, Scotland, snow, trees, views, vista, Water, weather, winter.